One of the most beautiful cross breed of a Welsh Corgi with other dog is the Corgi Husky Mix and it is commonly referred to as a Horgi. Some people may also call it a Siborgi. Even though the Husky is a sledding dog and the Corgis are herding dogs, so their cross is somewhat of an advanced herding dog exhibiting traits such as high energy levels and attentiveness. The major reason for this cross are to get a small sized dog such as the Corgi with combined qualities with those of a Husky. 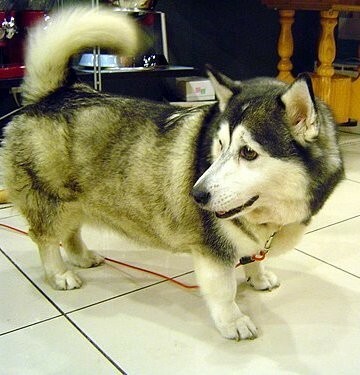 The Corgi Husky mix easily adapts to various weather conditions and will survive in most areas. Horgis are sociable and with early training, can be good with kids. Training of this cross breed is highly recommended. These dogs have a height of around 13 inches. 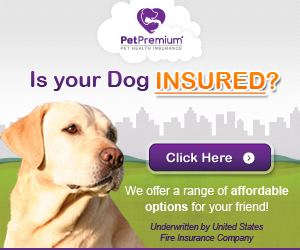 The weight varies a lot in individual dogs in the range of 20 to 50 pounds. Life expectancy is similar to the parent dogs between 12-15 years. The Horgi at times resembles the German shepherd. They are close to the ground and have a small sturdy frame. They have short legs like the Corgi. The ears are erect and the head rounded. The eyes of this Corgi Husky mix have an almond shape with a black or brow coloring. The Horgi coat is double coated and comes in shades of red, sable and brindle. If one of the parents had one color which is not among those then the Horgi can take it. Depending on the individual dog, they will have medium to heavy shedding. The Corgi is a heavy shedder all year round. The Husky is a high shedder as well due to their double coat. Keep in mind that daily grooming is highly advised to control the shedding. This double coated fur is very useful in wet environments since it is water resistant, thus keeping the dog warm. Even when bathing the Horgi, you’ll take some time to get the fur wet. The Horgi has an easy going and sweet temperament. They are sociable, friendly, gentle dogs. If the cross leans more on the Husky side, this Horgi will be a very good family dog getting along with the whole family and also visitors. Similar to Corgis, they have a good temperament and they are always alert. They make loyal pets. That being said, training is important and I would also add, necessary. The Horgi is very intelligent, inheriting this trait from both parents, its easily trained and from an early age, it will have an understanding of what is acceptable and what’s not. In order to make sure that your dog maintains a good temper and gets along with people, especially kids, it will be important to enroll it in a training class early in life. With good training and socialization, you’ll be able to travel with them wherever you go. The Corgi Husky mix usually has back problems which is something very common to Welsh Corgis. This is a genetic problem that afflicts both parents. It doesn’t necessarily mean however, that your Horgi will automatically get a back problem. With careful breeding, the risk of a back problem can be minimized. The Horgi, just like their parents have a good appetite and can easily add up the pounds which can lead to health problems. It is highly advisable to have a good daily exercise. Is it easy to find a breeder that would purposefully cross breed a corgi and husky? I have seen on other sites where these types of “mutts” is looked down upon so I am having trouble finding a breeder or even adoptions for a Horgi. Any advice? Very interested in a horgi puppy. Plz let me know where I can get one. I live in avondale az. Plz email me some info. Thank you. Hi Donna. Thank you for your comment. It’s a bit complicated with cross breeds and as I mentioned to Pixie, the best way to find one, is to get in touch with a Corgi breeder. That said, I have included a few reputable breeders on a dedicated page in this blog. Please check it out and let me know if you have any questions. I receive a lot of messages for this cross breed and I will write an article very soon with the best ways to find a Horgi. Stay tuned! Did you ever make the blog to find a corgi/husky cross? Husband allergic to many animals. Is this breed high allergen? We had a siberian husky but no issues. so is this dog good for us ? Do you think Horgi’s can manage in the Indian temperatures? During summers the max reaches around 40 degree centigrade and Winters are around 8-10 degrees at the very minimum. I have AC’s installed in all of my rooms so I can keep it indoors during summer. Hi Ankit, many thanks for your comment. From what I’m aware, horgis can withstand high temperatures. However, you might need to keep in mind that you need to keep the dog cool enough in high temperatures since it’s got a double layer coat. Therefore, even if the dog can “survive” in these conditions, it might not be the most pleasant environment. We have the sweetest, loving and extremely smart horgi. She also has the short tail of the corgi as well as face, ears, and yes lol if she is bored she will try to heard us. Great around the grandchildren and I have explained to their parents that it would probably be in their best interest to never get onto the kids with her around. She loves hunting lizards and snakes and she actually saved me from being bit by a poison snake I didn’t see an was only 14 inches from me, but the double, more like triple coat of fur threw her side towards the snake about to strike and the heavy duty coat the snake couldn’t strike, she had the snake dead this was happening in just seconds, that is how fast and alert they are. But in the south as you know it’s hot and humid so she stays in the house with AC on with the little chihuahua and they are fine together. You will have to brush daily basis and spring time you wonder how much more can there be left to shed. She understands English and German commands, the Vet. estimated she’s about 14 months, we have had her 8 months, can’t believe someone threw her away. We love both our baby girls. I wish I was able to post a picture. The Vet . also said her eyes are very rare because they are silver, not blue and if the sun is right they look white. You can’t find a more loyal, loving, protective, sweet, playful baby. They are very easy to house break and they don’t like the pads you can put down, they absolutely let you know when they need to go out. Corgis are adorable and great companions. Glad that you have similar experiences. They’re energetic and full of life. It’s impossible not to love them. Thank you for your nice story! My daughter has been looking to purchase a Siborgi pup. But has been unable to find a Breeder. If you know of any could you please send me there info. I live in Marion iowa and would like to know were to adopt a corgi husky at. My son’s not yet 1 year and my beautiful husky – one blue and one brown eye decided to have happy time – 61 days later – litter of 11 TEN black/white and ONE tan (6 males 5 females) blessed me with puppies. They all have the Corgi legs/height and almost all of them have at least 1 blue eye. The tan female actually has 1 totally brown eye and 1/2 brown and 1/2 ice blue eye – she is stunning. I just listed them on Alaska list late Thursday and have only 5 left, with one picking up the tan one tomorrow, and another coming to look at the last male. I think if you all are interested in this mix, you might just want to place an ad on Craigs list – asking for this breed. Craigs list flagging group must have nothing better to do than sit around thinking they are doing COPS work. Most of the time if you are looking for verse ‘rehoming’ you have better luck. I was able to get my son’s Corgi since I was looking for. She never had to post an ad since she had 5 puppies and all of them were paid for prior to them being ready to go to their new homes. Hopefully this helps some of you. My son and I purchased a Horgi.. He has blue eyes and is sable.. He sheds a bit… Not to bad… We limit his eating and he is the best dog ever.. Great temporment easy going and we trained him from day one… One comment is that these dogs are chewers.. You must be vigalant about keeping towels/rugs away and good bones in front of them… The experience has been more that fantastic.. 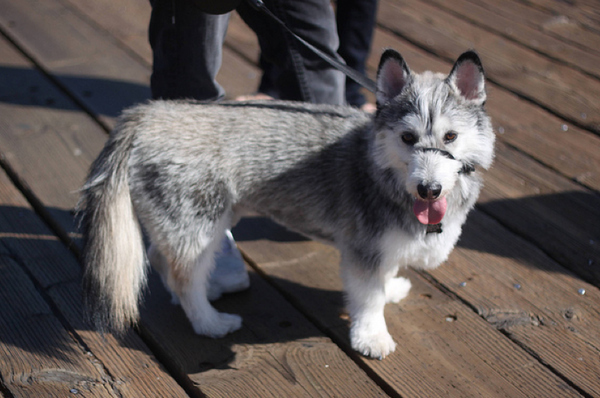 I would highly recommend looking into a corgi/husky mix… I wish I could post a picture of him. Alaska? Is there a website? http://www.alaskalist.com is where I will be posting the puppies in June, however, I already have 10 people on the list for puppies (if some are not taken). The other place you can always look is on your local craigslist.org – again there are the people that feel they are the craigslist.org police and they will flag the post almost as soon as it is posted. Hi, my fiance and I are looking into getting a corgi husky mix puppy. We love these dogs! We live in Minnesota and are having a hard time finding this breed. Please email me some information on where and how to find one, thank you! I have 12 that are 5 weeks old, but I am in Alaska, they are posted both on Craigs list in Alaska and Alasklist. All I can think of is how exactly a big tall husky manages to mate with a corgi that is pretty much on the ground!